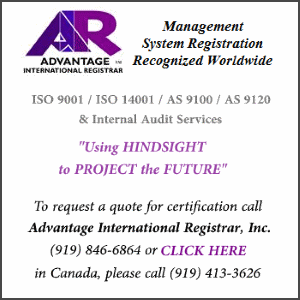 Organizations that have successfully implemented a management system may choose to seek certification by an independent third party audit from a registrar/certification body (CB). Certification can serve as a valuable tool to add credibility and to demonstrate to clients, customers and other stakeholders, that an organization’s management system meets the requirements of a given standard; thus, finding the right registrar is an important decision to be made. Organizations should decide if they will contract an accredited registrar or a non-accredited one. Accreditation means that an independent, objective body (an accreditation body) recognizes that an organization is qualified to provide specific services. Accreditation is not an obligation, and non-accreditation does not necessarily mean that an organization is not reputable; however, accreditation provides confirmation of competence by an independent body. 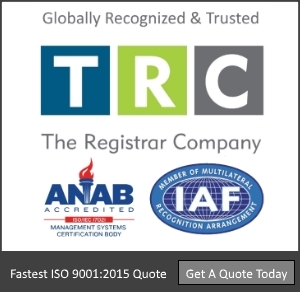 If an organization is seeking certification as a regulatory or industry requirement, it is important to ensure if they are required to be certified by an accredited registrar; some clients and customers require their suppliers to do so. Organizations should ask the accreditation bodies in their countries for a lists of the registrar they have accredited. Relevant experience and sector expertise. There are many standards that an organization can be certified to (ISO 9001, ISO 14001, OHSAS 18001, ISO 22000, ISO 13485, AS9100, TS 16949, ISO/IEC 27001, ISO/IEC 50001, etc.) and when choosing a registrar, organizations should verify the registrar’s experience in the relevant standard. Also, it is important that the registrar has experience in the organization’s industry sector. Organizations need to ensure that the auditors know and understand the processes involved in their operations. Cost is an important factor for all organizations; however, not always the most inexpensive registrar is the most appropriate. It is possible that a certificate issued by a low-cost registrar, will not be recognized by clients, customers and other stakeholders. Therefore, even though the cost needs to be considered, it should not be the determining factor for the selection of the registrar. Organizations should evaluate several registrar and schedule a meeting with them before making their final choice. This will allow them to “sense” if a good working relationship will be possible to establish. After the certification audit, the registrar auditors will visit the organization once or twice a year if they consider it necessary to maintain certification, so an active and reliable relationship will need to be developed between the two. Choosing a registrar should not be a decision taken lightly. A good selection process will ensure the credibility and value of the certificate issued, which will ultimately provide a valuable asset to the certified organization.